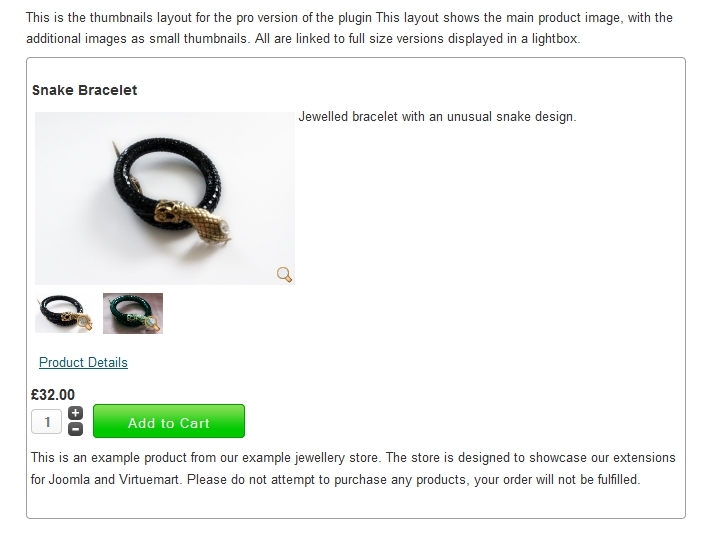 Content plugin to embed VirtueMart product information directly into a Joomla article. This will embed the product with an id number of 23 (the id number is the one in the right hand column in the column marked id in the VirtueMart product manager). This will show three products with the image and description but not the add-to-cart button. The other parameters will take their default values as set in the plugin manager. This will show three products with the listed skus, with the images and stock levels but no description. The other parameters will take their default values as set in the plugin manager. will show products from the category with id number 4. This will list up to 15 products from the tools category, ordered by price in ascending order. Note that the plugin conducts a keyword search so if more than one category has 'tools' in the name (eg, garden tools, power tools) results from both will be displayed. 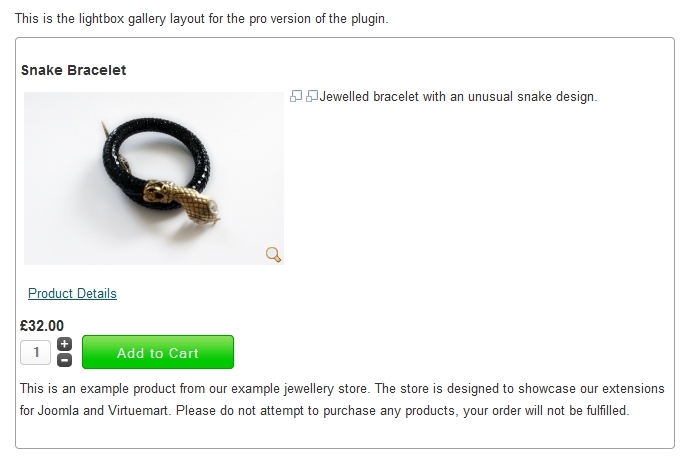 This will display products marked as featured. This will show the latest products from the category with id number 6. 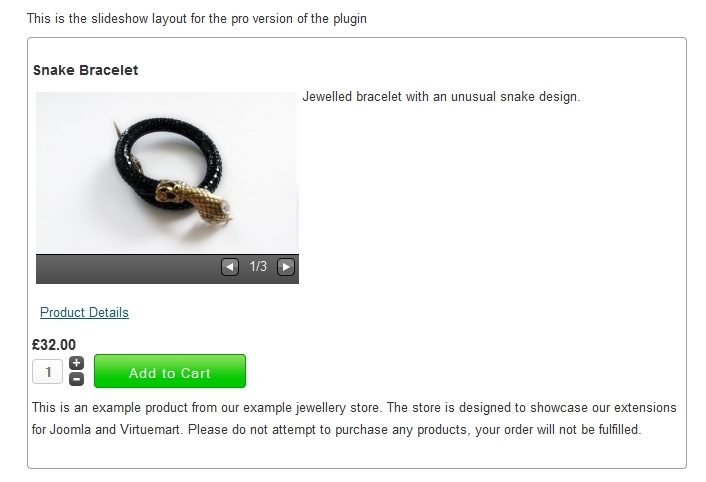 The plugin will display the price fields selected in the VirtueMart price configuration. 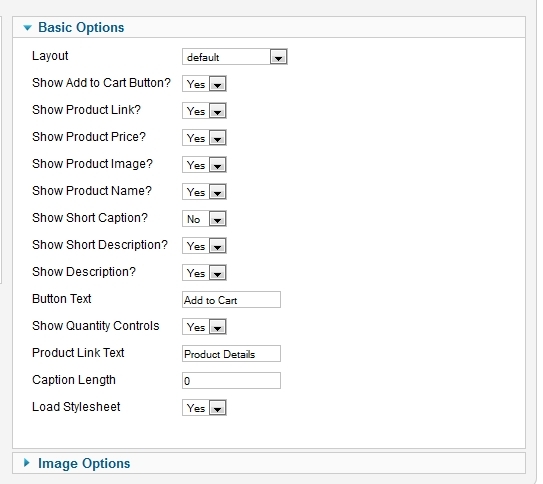 It will display custom fields, and is fully compatible with the stockable variants plugin. 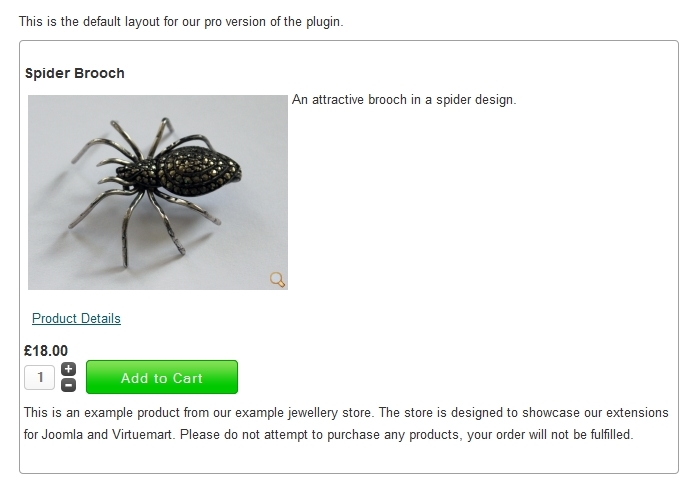 The imageWidth, imageHeight and layout parameters are only available in the 'Pro' version of the plugin. The imageWidth and imageHeight parameters take an integer value for the size in pixels. $list->prices - list of prices information, keys are "basePrice","basePriceVariant", "variantModification","basePriceWithTax", "salesPriceWithDiscount", "salesPrice", "discountedPriceWithoutTax","priceWithoutTax","discountAmount","taxAmount","unitPrice"